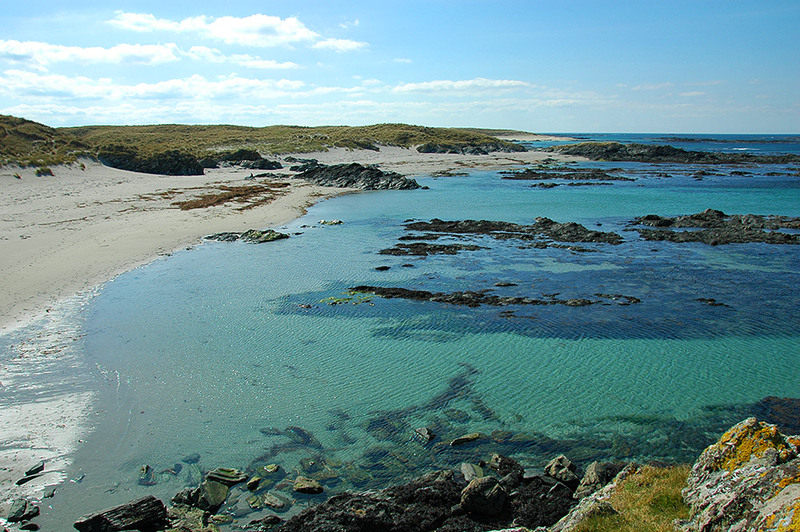 A beautiful beach and coastal landscape on the west coast of Islay’s neighbour Colonsay, taken during a day trip from Islay in April 2008. I’m not sure if it has a name, it can be found about a mile south west of Colonsay Airfield. This entry was posted in Beaches, Colonsay Excursion, Landscape, New Post, Sunny Weather and tagged Colonsay by Armin Grewe. Bookmark the permalink.